Jap Andolan Party (JAP) members and activists will pressurise Darjeeling MP,Mr SS Ahluwaliah to bring forward a Bill for the formation of Gorkhaland. 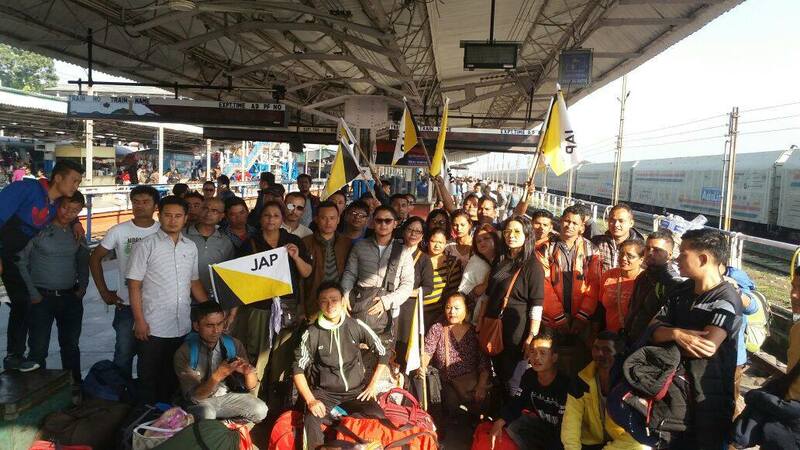 At least 100 JAP members and activists are travelling to New Delhi this afternoon to organise dharnas and other programmes outside MP residence and other spots for voicing their demand. Alleging that Mr Ahluwaliah did not raise his voice for Gorkhaland even if the present National Democratic Alliance has been running since two and a half years and nine parliament sessions concluded,Mr Rai said, “Mr Ahluwaliah have to take necessary steps for the formation of separate statehood. This is the demand he had advocated before the 2014 Lok Sabha elections at large. Thus,we are heading for the national capital as to pressurize him for the same. Reiterating that JAP has served a Bill for the separate statehood before MP on the month of April, the party has demanded the same should be placed by the later in the appropriate platforms. 0 Respones to "JAP to pressurise Darj MP over separate state Bill"